Living in a free and peaceful world where we can choose our own religion and be ourselves regardless of the color of our skin, is one of the key factors in our daily life, an assumption we take for granted. In the not so distant past in Europe, during World War II, this was not the case. 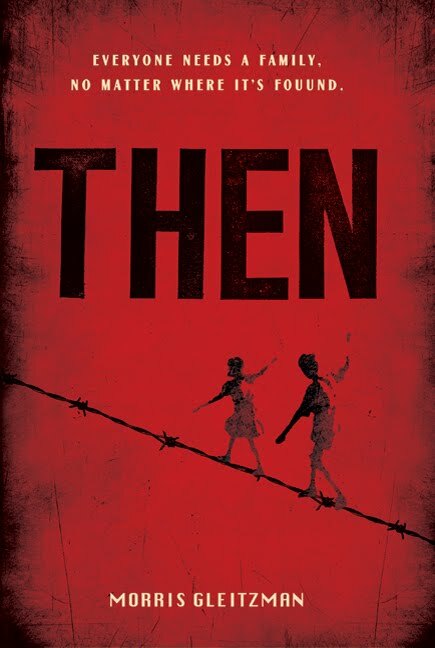 Then by Morris Gleitzman is about two children, aged ten and six that grew up in a time of Nazi oppression. Because one child is born to Nazi parents and the other is from a Jewish faith, they offer different and often surprisingly similar perspectives on the war. Throughout the book, the children survive by hiding from the Nazis in Poland while facing situations of fear, uncertainty, and sadness. The book begins with Zelda and Felix attempting to race up a hill into the forest before the expected train with machine guns drives by shooting at them. Avoiding being shot, they eventually arrive at the forest and hide under some leaves. They find a rough, but helpful woman named Genia, that lets them stay at her place. Genia creates fake names for them and dyes their hair blonde. Everything is peaceful, until someone finds out who they really are. Despite being from two very different backgrounds, the children develop a strong friendship throughout the story. Then by Morris Gleitzman, is a devastatingly hopeful story that is full of action and cliffhangers. The reader is taken for a wild ride in which you feel curious, sad, and eager for more. Gleitzman shows conflict in many ways. Felix, the Jewish boy has a conflict with himself because he doesn’t want Zelda to get hurt because of him. A character conflict against society is Zelda and Felix trying to survive in a Nazi Germany world. I highly recommend the book to historical fiction readers or those who like the books Woods and Runner by Gary Paulsen or the prequel and sequel to Then, Once and Now. Gleitzman describes a dark, depressing tone in his book and makes you love the characters. They were brave, compassionate, and persevered with strength until the end. Furthermore, Hitler’s dictatorship was horrible and affected not only the Jewish people, but everyone. Moreover, the book Then, by Morris Gleitzman allows you to picture the very detailed setting of Poland in the recent World War II past, and has an excellent way of describing characters, which helped me visualize the story.